If you are a student at school, or just want to learn the basics of physics? 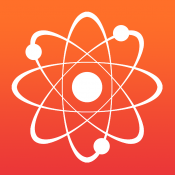 This educational app is made for you, to help you learn such interesting topics like: famous physicists, what is matter, measurements, optics, and more coming soon! The app has nice and easy to understand animations and many interesting information.